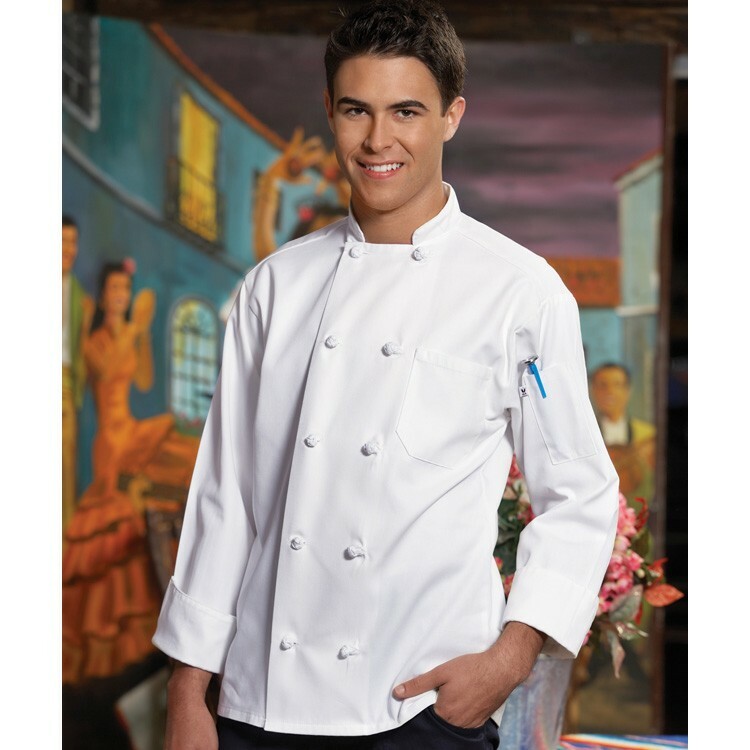 One of the finest chef coats on the market today. This white classic coat is artfully constructed with ten inset knot buttons, mitered chest pocket, thermometer pocket, finished cuffs and collar, reinforced bar tacking, and reversible closure. Made of 65/35 polyester/cotton twill blend (7.5 oz.). Available in sizes XS-6XL.